3:30am launch on a powerful Delta Heavy Rocket! Kept the kayak at home, scored a employee launch pass and drove out to NASA Causeway for this light show. 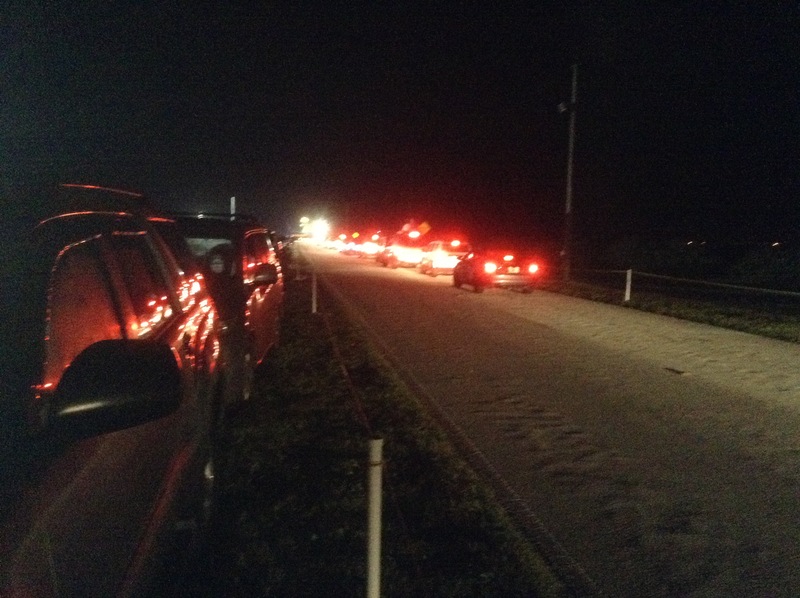 500 vehicles on NASA Causeway, but 2000 at Banana Creek viewing site. And NASA Causeway was closer to Launch Pad 37 on CCAFS (actually I learned a lot of the Parker scientists were bused to Banana Creek and were disappointed they were not as close as the NASA Causeway crowd. And so I was standing on NASA causeway in the midst of 500? cars. Launch pad 37 was right across the river-so close you could see the extra gases being vented off from the launch vehicle- a Delta Heavy with an Extra stage to boost the solar space craft on the historic seven year journey to Sol & into the solar corona. 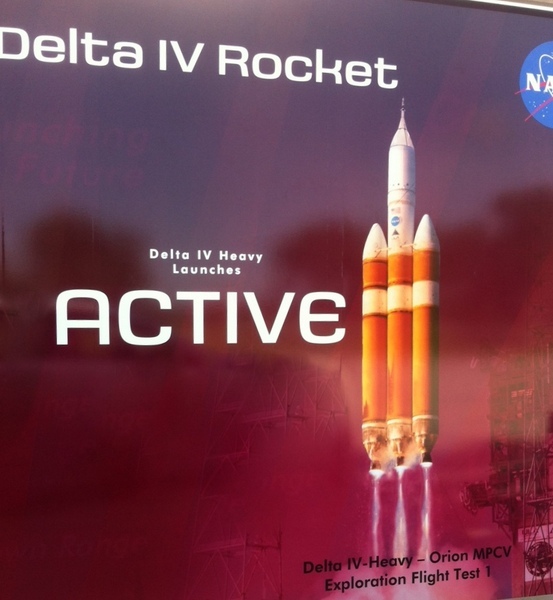 Delta IV banner at the Banana Creek launch viewing site. The Parker Solar Probe required this work horse rocket to boost the velocity of the space probe. The plan was for the space craft to perform seven gravity-assist flybys of Venus to reach the fastest speeds of any vehicle built by humankind-traveling roughly 190 kilometers per second (430,000 mph) A historic launch indeed! 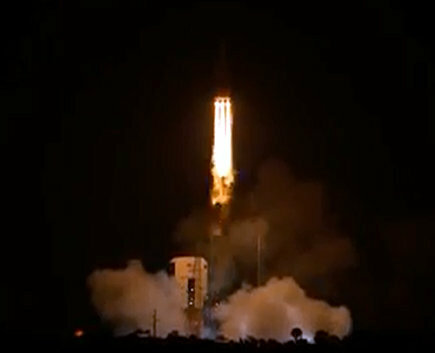 The launch had been scheduled for 3:30 am but had already been pushed to 4:05 am -chewing into the 65 minute launch window. I talked with an enthusiastic engineer who had worked on the spacecraft-he answered most of my questions about the space craft fuel and the heat shield. 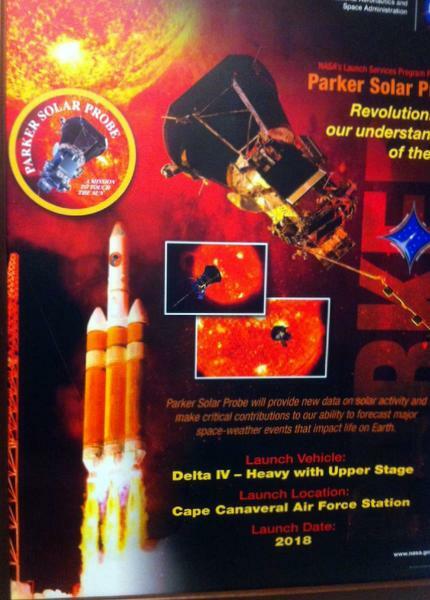 "The Parker Solar Probe" explained the engineer "Will be at its closest approach to the Sun would steadily decrease, finally reaching a distance of 6.1 million kilometers"
I of course had to request a non metric number and that was number converted was 3.8 million miles. "Parker Solar Probe will be 1/8 the distance between Mercury and the Sun, and within the solar corona, the Sun's outer atmosphere." I was fascinated by the details of the heat shield and the antennas that would face the full might of our star. Turned out we were both fans of science fiction and I brought up SpaceX landing two boosters at once on Kennedy Space Center-a scene right out of the Ray Bradbury's Martin Chronicles. Indeed even after the retirement of the space shuttle fleet we were still living in interesting times. The Causeway speakers came to life as the launch control called out the pre launch checks of the rocket and payload. There was a sudden hush as the engineer in charge of the spacecraft atop the Delta called a disappointing "no go"
Another half an hour wait. A few more Perseid meteors flashed in the early morning darkness. My son texted me from the roof of his house in Viera "Where was the rocket?" I explained there was a delay. A new launch time was called for 4:30 which gave the rocket just enough time to get off the launch pad and stay in the "window"
The countdown resumed with a few minor delays all the way to two minutes from launch of the Delta Heavy. --And the speaker crackled that the remaining launch window was less than two minutes. 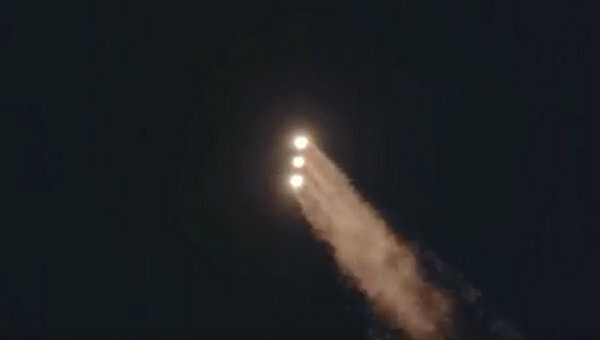 The Delta Heavy rocket could not launch within two minutes. 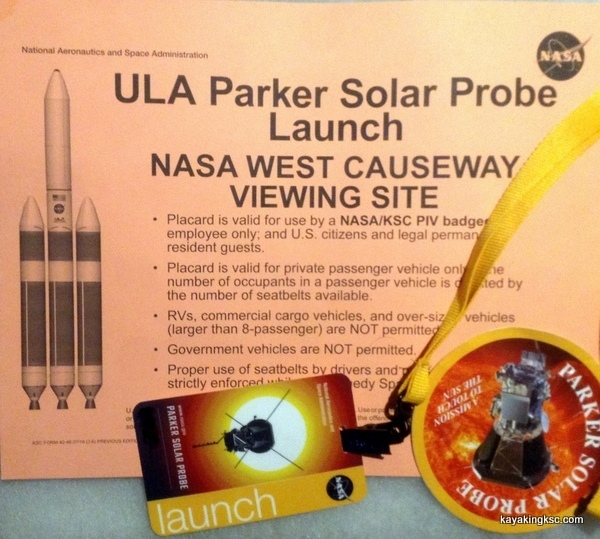 Launch of the Parker Solar Probe was a No Go. The disappointment was so thick it could have been displaced the oxygen on the causeway. People made for their cars, breaking down chairs and camera tripods. I made my way to my truck. I has arrived early and so was a the front of the line of five hundred vehicles. Banana Creek viewing site had 2000 people bused in and they would be waiting hours to get back to their vehicles and hotels. I on the other hand was off the space center & heading south on State Road 3 in short order. And made it to the house before the sunrise. However I had a prior commitment and could not make it back to NASA Causeway for the Saturday morning launch attempt. And so, at 3:32 am, our house windows rattled as the Delta Heavy launched into the night, shaking and rattling the Space Coast.